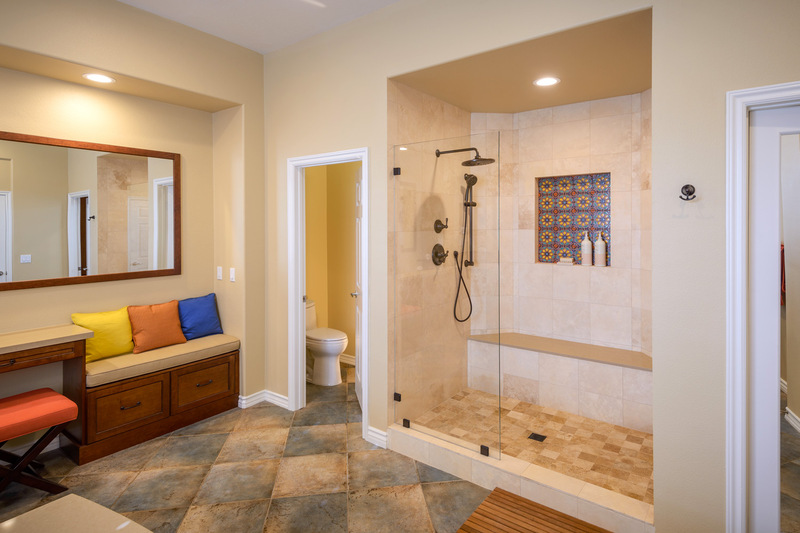 This large and colorful Mediterranean style master bathroom features a unique layout with a spa tub in the center of the room, vanities with sinks on each side, and a large alcove shower. Other highlights include the handsome make-up vanity, a storage cabinet with seating, and coordinating framed mirrors. The decorative tiles placed throughout the space bring bold color and vibrant personality to this artistic, one-of-a-kind master bathroom. -Alison M. and Michael H.